Creating a website is a relatively easy thing to do, especially since there are now many templates available, either for free or for purchase. However, websites are not created equal – there are those that remain in obscurity while others seem to draw in a steady stream of visitors. Still, while a website may draw in a lot of traffic, it does not necessarily mean that it has a high conversion rate. If you’re wondering why visitors are not willing to dish out cash for the business’s products and/or services, then you’re not alone. What does design have to do with it? 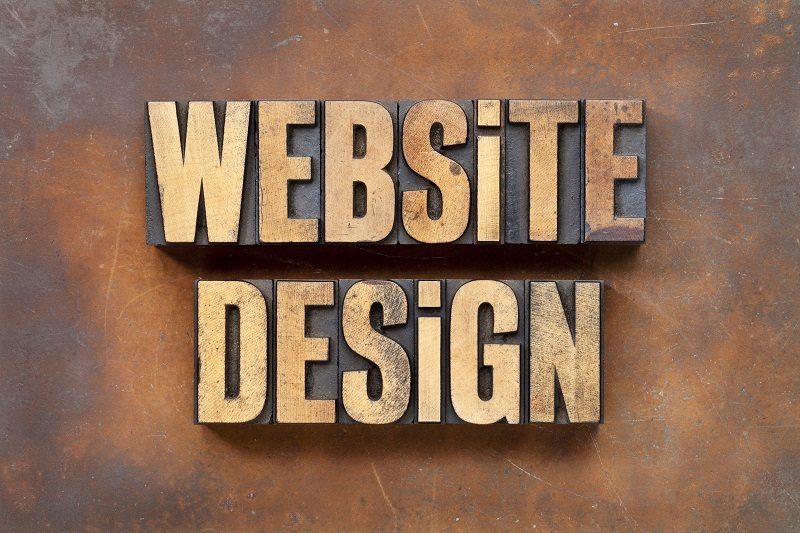 One aspect of a website that not many owners realize is of vital importance is the design. The Internet is highly visual and its users respond either positively or negatively to the aesthetics of webpage. According to a study on the Trust and Mistrust of Online Health Sites, 94 percent of first impressions is driven by the design of a website. You may not realize it, but visitors tend to either consciously or subconsciously judge your business based on how your website looks. A badly designed site can lower trust rate and potential customers tend to have second thoughts about doing business with you. In other words, regardless of how many page views you have, they won’t be converted into paying customers if they are turned off by what they see. The visual effect of a website is a combination of many small elements, in the same way that a painting is composed of color, balance, tone, lines, shades and shadows, space, direction, movement, texture, etc. You can customize your website so that your target audience responds positively to it, and so you can get your message across in a way that people enjoy the experience. This involves, among other things, the use of images, the color and font, and the position of the items on your page. In the same way that advertisements, TV shows, and movies are created to appeal to a target audience, you also need to craft your website to appeal to yours. It needs to suit the demographic you are hoping to reach; otherwise, you’d lose the opportunity to draw them in. What this means is, you need to first identify the people you are enticing to view your content and avail of your products and/or services. For instance, if you are in the food business, then is it a fine-dining restaurant that cater to the more formal members of society or is it a bistro that cater to the more informal crowd? Either way, the “ambience” of your website should match the ambience of your physical business. Similarly, a website meant for kids and their parents would look entirely different from one that’s meant for stockbrokers on Wall Street or that for big bike enthusiasts. And while a stockbroker could very well be an owner of a big bike and a biker could be into the stock market, websites for these two niches are expected to, nonetheless, have glaring differences. In short, your website has to have that kind of “atmosphere” that matches your business and niche, and it has to appeal to your target audience. It takes only 2.6 seconds for the eyes of a visitor to focus on the part of the webpage that mostly influences their first impression, according to a study conducted by the Missouri University of Science and Technology in 2012. However, it takes less time – no more than 2/10 of a second – for them to form a first impression when viewing a website. Not cramming too many items on the page all at once. This is to avoid visitors getting confused. If they are confused, they are less likely to respond to any single thing on the page, except the Back button, perhaps, in order to leave your website. As a visual representation, you can imagine a stall in a flea market that’s full of so many things on display that you can hardly focus on one item for more than a second. In contrast, imagine a high-end shop that puts only a few products on display, places these on glass shelves or display tables, and accentuates them with proper lighting and placement. Similarly, you’d want your website’s visitors to gravitate towards what you want to emphasize without distracting them with other messages. Therefore, choose your business’s “centerpiece” and highlight that on your landing page. Give your visitors enough reason to explore more about your business and what you have to offer, and let them act on it. Having a layout that doesn’t give the eyes a difficult time. Once you’ve chosen which items to put on a page, they have to be arranged carefully. There has to be a balance of text, images, and open spaces so that the eyes have time to relax and move from one item to the other. In the Missouri University study mentioned above, the researchers discovered that people tend to focus more on the logo, the main navigation menu, the search box, the social networking links, the site’s main image, the site’s written content, and then the bottom of the website. Selecting the right colors and color combinations. People get easily turned off by glaring, sharp colors because it makes it difficult for them to focus and to read. On the same note, some colors just don’t go together naturally, and people react to this negatively. Therefore, make sure that your main color and the background color are both attractive and pleasant and that they go well together. Also, your font color should have the right contrast to make the text easier to read. While it can be a minor thing, you may also want to choose a complementary hue for the hyperlinks. Just to clarify, font and typeface are often interchangeable, but to be technical about it, the typeface is what is called the font family (Times New Roman, Arial, Calibri, etc.) while the font is the different variations of the typeface (Arial 10 Bold, Arial 12 Italics, Arial 16 Italics, etc.). Now, typefaces can also influence a viewer’s response. For example, Old English or similar typefaces are associated with old writing or medieval subjects, while the Stencil typeface is often associated with the military. Therefore, in choosing which one to use, you need to see if it suits your business. You wouldn’t want to use Comic or any cartoon-inspired lettering if you’re targeting the top executives of Fortune 100 corporations, while a robotic or futuristic one would not be a good match for a website on antiques (that is, unless your message is that antiques are great investments in the information age). In relation to this, you also need to choose the font – that is, if the typeface is in bold, underline, or italics, what size it would be, if it’s condensed or expanded, and so on. This is to create emphasis on those things that needs to be emphasized. You also need to find the right combination of fonts. They need to complement each other rather than conflict. One tip is that those that are too similar don’t go well together. Examples of good combinations mentioned on Creative Blog include Kaufmann and NeutraDemi, Helvetica Neue and Garamond, and Renault Light and Apex-New. Images, including photos and infographics, play an important part in a website’s success. In particular, selecting just the right image for the landing page could establish a good first impression and influence your visitors to stay and explore more. On the other hand, using an image inappropriate for your business could lead to detrimental results. One mistake that many website owners make is using stock photos that are not real representations of the business. For example, using the image of a model to represent a financial adviser would more likely make people raise their eyebrows or ignore your website than believe you. It would be better to have your real employees be the models than have a stranger be the poster boy or girl for your website. If you have the means, then you can hire a professional photographer to take images that you can use. Another way is to learn digital photography and create professional-looking images yourself. This skill would be useful in the long-run since you’d also be using photos for your regular posts. Many brands use videos to show people what their products are about. Why do you think companies spend so much making and showing TV adverts? And why do you think YouTube is a success? It’s because a video can convey so much information in a few seconds, it’s easy for people to digest, and they don’t have do anything other than sit back and relax. You can create videos to introduce your company and your line of products and/or services. You can also focus on one product and demonstrate how to use it. If you have a service, show people what you do and how they can benefit from it. With the abundance of digital cameras and smartphones with video capability, it’s so easy to take footages and demos. However, creating a really good video takes time and effort. For instance, when making a corporate video, you need to first come up with a concept and make a plan, identify your message and your target audience, then take lots of footages. After these, you need to choose clips to include and exercise your creativity, edit while paying attention to detail, put in some effects and music or voice-overs, and then include the intro and credits. also has tips when making your own corporate video, namely: identifying your audience, telling a story that touches the emotions, showing and not telling, focusing on the customer and on not yourself, and sharing not just what you do but also what you believe. It might sound tedious but, in the long run, investing time and effort would produce a result that looks more professional than a home movie. You can also opt to hire a company that specializes in creating corporate videos. You can then proudly post the finished product on YouTube, your website, and your social media accounts. You can then make a text version of the video – not of the script but an article version – and include screenshots. This strategy is especially useful if you have an instructional video so people don’t have to keep on going back to watch Step 3 or Step 5 again. If you’ve been reading about how to improve your website, then you may have come across the saying, “Content is king.” Rightly so. Unless your website has content that visitors find helpful or informative, then they will lose interest quite easily. One of the things that some companies fail to do is put in fresh content on their blog or news page. If a visitor finds that your latest post is dated two years previously, it’s unlikely that they will feel confident purchasing anything from you. It will make them feel as though you have not done any business recently. In order to address this, you need to put in new content regularly. Once a week is ideal as it provides new information that your visitors can digest while not making it too tedious on your part. Posting around 1,600 words (or 7 minutes worth of reading) is good, according to Medium, although you can do less or more. However, don’t fill it with fluff just to reach a target word count. A 1,000-word article that’s meaty and packed with information will be better appreciated than a 3,000-word article that does not add any value. There are so many of these – they’re filled with shallow words and repetitive information just for the purpose of stretching the length. Many business owners do not realize the value of the “About Us” page on their website. Potential customers are likely to check this if they are unfamiliar with your name in order to make sure that they are dealing with a legitimate business. If they are interested, they would want to know more about your company’s background, so make sure you provide them with the information that they want, such as your business’s history and the people behind it. Also, don’t forget to include your contact information. Provide a phone number and an email address at the least, and if you have a physical office or store, put the address. It’s also helpful to embed a map from Google Maps to your place. This would persuade people that your business is not a suspicious entity. Because many potential customers over the Internet are unlikely to know you, you need to provide social proof to assure them that you are legitimate. BBB or Better Business Bureau, Yelp, Angie’s List, Consumer Reports and other similar review sites are venues that people turn to when they want to know what others think of a business. Many online consumers put a lot of weight on these reviews, and these can sway them to either buy or not buy a product or service, depending on what they read. If you have listings on any of these review sites, then it would be helpful for your business to cite the positive feedback that you receive. Similarly, you can invite your loyal customers to provide reviews that you can quote on your website and also place the brands that you have worked with. Related to this, if you receive any negative feedback, make sure to address the issue. Reply to the post, thank the person who wrote it, and let them know that their comments are valuable to you. Paying attention to what people say and informing them that you do pay attention can cool down some hot heads. Also, getting a lot of followers on your business’s social media accounts can be an indicator that many people trust you. You can use Google Alerts so you would know if you and your business are mentioned online. 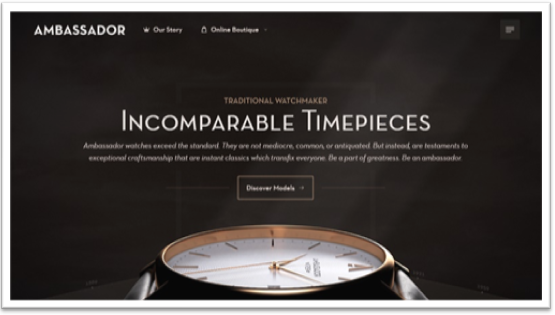 Your website needs to clearly indicate your business’s relevance, value, and differentiation. These need to be seen on your landing page in order to convince your potential customers that reading on would be worth their while. Simply put, relevance means how your product can help customers improve their current situation or how it can solve their problem. Value, on the other hand, means the benefits that they get for availing what you have to offer. Differentiation, meanwhile, lets them know how different you are from the competitor and why they should purchase from you and not from them. Some characteristics of a good value proposition include: specificity, meaning the message indicates who the message is for and what the product is; clarity, meaning you have a summary that informs visitors of what you are offering and what the benefits are; key features, which includes the major factors that make the product stand out; and a relevant image to accompany the text. On the opposite end of the pole, a bad value proposition uses phrases that people won’t be able to understand. Also, shoving your product down people’s throats would turn off potential customers. Avoid flamboyant displays or “loud” fonts and layouts that would remind people of the proverbial used-car salesman. Sometimes, website owners think that a video would serve as a good introduction, but it’s not. While it’s definitely good as a supplementary element, it cannot and should not replace actual text and supporting images. You should spend time working out and crafting an effective copy for your value proposition. It should be concise and direct to the point but still uses language that is convincing and makes the reader want to buy your product or service. Click here to talk to our customer service representative. Make sure that your call to action is placed in a strategic position on your webpage, that it’s highlighted or emphasized, and that it’s clickable. Request for a free video demonstration. A simple call-to-action message can make a big difference in your conversion rate. Keyword stuffing or putting too many of the same keywords within the content that it no longer makes sense. Getting links from websites that have nothing to do with your business or niche. Cloaking or presenting the web crawlers content that is different from what appears on browsers. SEO is not just about selecting the right keywords so that your web pages will appear high up on the search engine results page aka SERP. It’s also about proper practices so that search engines will recognize your site as one that is worth putting up in the results. In this day and age, a website that cannot be properly loaded on a mobile device is one that is missing a lot of potential business. Many Internet users are now relying more and more on their tablets or mobile phones to look for products and services, so if yours is not responsive, then it’s likely that you are missing out on potential transactions, too. Your webpages should load fast, preferably in less than 5 seconds. Ease of scrolling. Visitors should be able to scroll through your webpage vertically or up and down, or horizontally or left and right. It should not be both. Related to this, they should not be required to keep on zooming in and out to be able to read your content. Big navigation buttons. Mobile devices are not all the same, and some smaller-screened models can equate difficulty in navigating across webpages. You need to provide users with big enough buttons that they can easily click. You can also add a “Click to call” button so those using their mobile phones can easily call you without the need for them to key in your phone number. It’s also worth mentioning here that Google prefers to rank mobile-friendly websites on mobile searches. This means that those websites that are readable on mobile devices are more likely to be found by potential customers. People shop online for the convenience of the thing, so make it easy for them to buy products from your website. This is something that you should prioritize if you want customers to keep on coming back. Online shoppers want security, of course, but they also appreciate an efficient process. Try to minimize the steps involved – one page for check-out, as much as possible. Don’t require newcomers to sign up to your website before accepting their payment or tell them to go to the main page first. It’s like a cashier in a department store telling a shopper to sign up first or to go to the reception desk to get more information before they’re allowed to buy anything. Slow page loads. This in no longer the age of dial-up networks, so Internet users tend to lose patience when a page takes too long to load. Pop-up ads that disrupt their experience. While users can hardly miss pop-up ads, it’s also something that is, in general, unwelcome. This is why there are pop-up blockers. If you don’t want to annoy your visitors, then get rid of those ads that suddenly appear while they’re reading. Auto-playing videos that disturb them. Videos are fine but people, in general, would prefer playing it when they want to rather than turning it off because it plays automatical A worse experience is if the video keeps on automatically playing after a few seconds of being turned off. People usually just close the window to keep it from blaring even if they’re not done reading. These are some of the factors that many website owners fail to pay attention to. Studying them and addressing potential issues can result in better user experiences. This, in turn, can improve not only your site’s page views but also its conversion rates. Many website owners and bloggers are aware of how important their RSS subscribers are, so they constantly check if more have signed up. Some undoubtedly hope that each time they open their website, they would see a big jump in the number of people who subscribe to them. But why is RSS important in the first place? 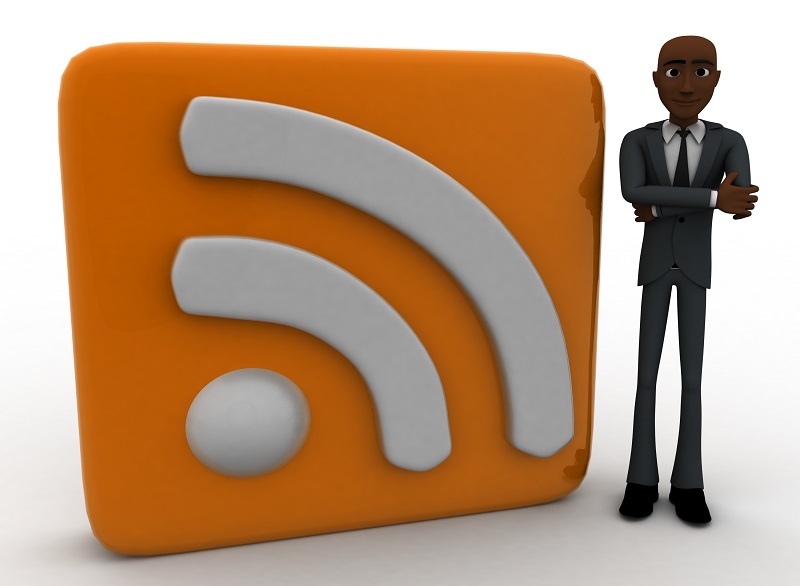 RSS means Rich Site Summary, which is a standard format for delivering new content to subscribers. The subscribers, on their end, receive this content as an RSS Feed. Online news publications, blogs, and other websites that publish articles regularly usually have this option so their followers and regular readers would know when fresh content is available. Creating and maintaining a website involves a lot of things, ranging from searching for the right keywords to regularly posting relevant content, from using the right design to choosing appropriate images, and from sharing posts on your social media to widening your online social circle. Two, so they will stay long enough to do other things, such as explore through your pages, buy a product, or subscribe to your newsletter. Search engines are the most important applications on the Internet, and the cream of the crop is, without question, Google. Not only does it have more than two-thirds advantage over its competitors, but other search engines also rely on its database for information. Therefore, businesses who want to gain more customers should, at the very least, do well in Google search. In order to gain a higher ranking on Google search, your Magento e-commerce website needs to be optimized – that is, you need to make it easier for the search engine to index it and, in turn, easier for people to find it when they make a search. User-generated reviews such as those in Yelp are highly influential when it comes to persuading or dissuading consumers in using a product or service. Many business owners don’t like it, simply because disgruntled customers are more likely to express their negative experiences online. Whether they like it or not, however, it is important for business owners to realize the power of these customer reviews. Brands such as Coca-Cola, Nike, McDonald’s, and Apple are so successful that the mere mention of their names or a flash of their logos prompt instant recall among consumers, regardless of an age. This has led many entrepreneurs to believe that branding equates to something that’s displayed and seen. Those brand spend a lot of time and even money creating visuals such as a logo or website, but they fail to realize that a successful brand is the outcome of something more. We have a useful checklist below to help you boost the chances of higher ranking on Google. Run through this guide with tips and see how it could makes a whole lot of difference on your Google results. Today we will show you how you can Increase Sales for your website whether it is e-commerce, small business or other type of website. We have compiled 14 different techniques to show you step-by-step how you can increase sales. 1) Need to promote a specific item in your website? 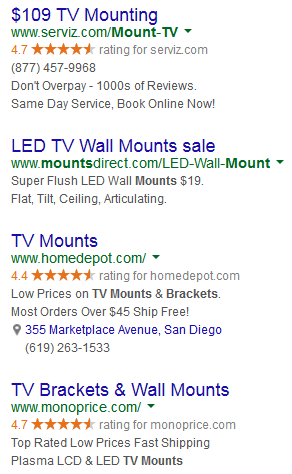 Copy Adwords ads text to get more eyeballs. The more interesting your ads are on adwords the more click through rates you will get. But, did you know you can create <h1> tags and <title> tags in a similar way for your website?